08h30 – 09h00 Transfer to day boat for a cruise to Lan Ha Bay. Have the whole day relaxing on the beautiful beaches of Van Boi beach, Ba Cat beach, and leisure kayak around the Lan Ha Bay. - More than 15 days prior to check-in: 10% of total rates. 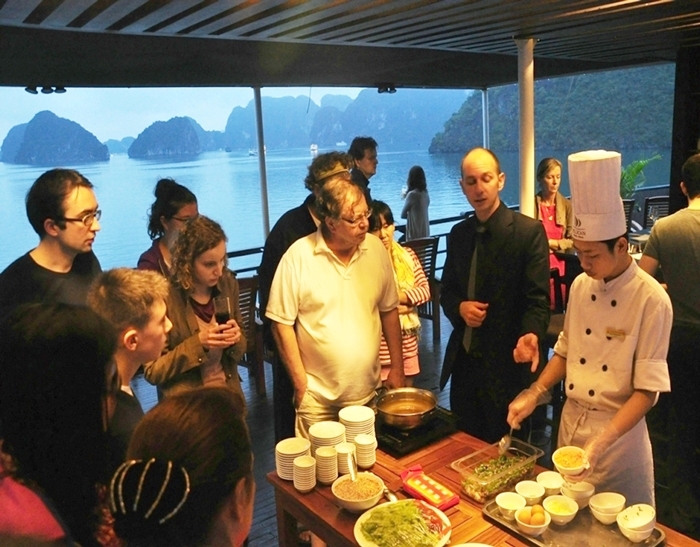 What do you think of Oriental Sails Halong Bay Cruise? "2 days 1 night cruise"
My friend and I did this cruise last month and it was amayyyyzzziiing. We only booked it one day before the tour and we were lucky to have been charged the same price as those that booked months ago. We had a great tour guide, best known as Jackie Chan who was very humbling, funny and entertained us the whole way. 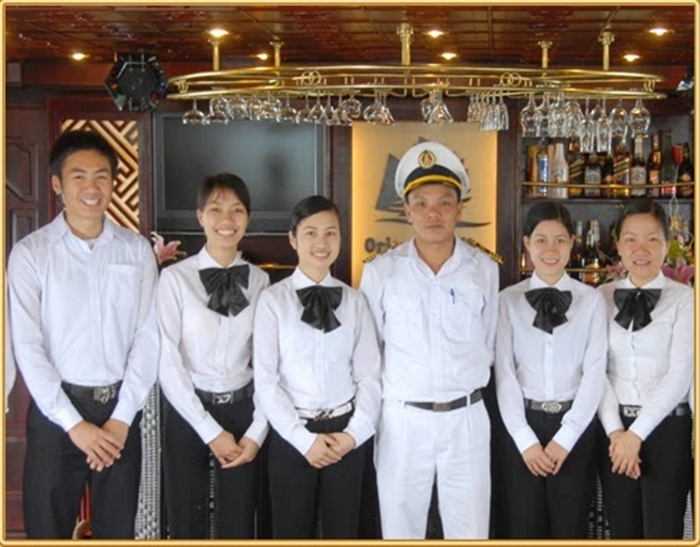 We were really impressed by the food they served on board - I recall this being the best food I had whilstt in Vietnam. The staff were highly professional in nature. I highly recommend doing an overnight cruise with these guys as its totally worth it. We had great company on boat, the evening vibe was very peaceful and soothing. 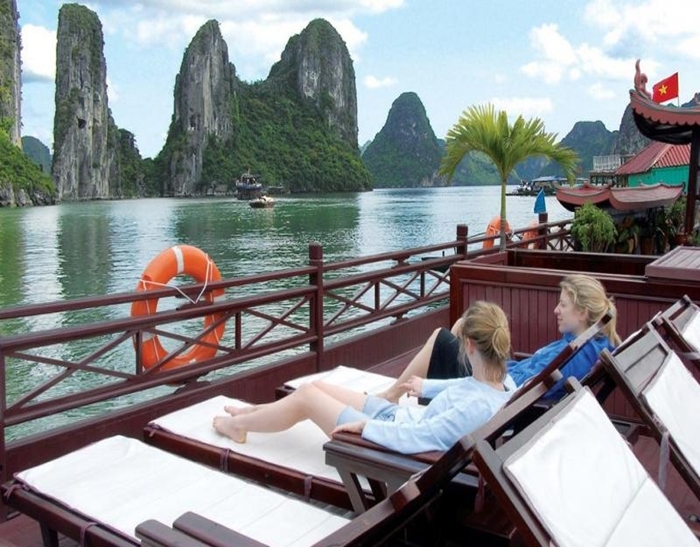 "Ha Long Bay – Oriental Sails - Excellent!!" We were picked from our hotel slightly earlier than we were informed, but this was not a problem. Please be aware that if you are being collected from a hotel in the old quarter you must be punctual. It is illegal to park on the street, and another group we met up with, had had their bus confiscated by the police. If you are late, you could ruin the trip for everyone. We were the first to be collected so we had a bit of a tour as we circled the city and collected the rest of the passengers. Calypso Cruiser 4 is one of the smaller Junks, so there were only 16 passengers in total. Tracy our tour guide was very friendly and affable, and provided information about Hanoi, the journey and the cruise on route. The journey is long (approx. 3.5 hours), so be prepared, but there was a short break half way where you can have refreshments or go gift shopping. The bus is comfortable enough, but I imagine it could be a little cramped when full with passengers and luggage. On arrival at the Port the transition from the bus to the boat was smooth and first impressions were that the Calypso Cruiser 4 was in a lot better condition than some of the other craft in the water!! 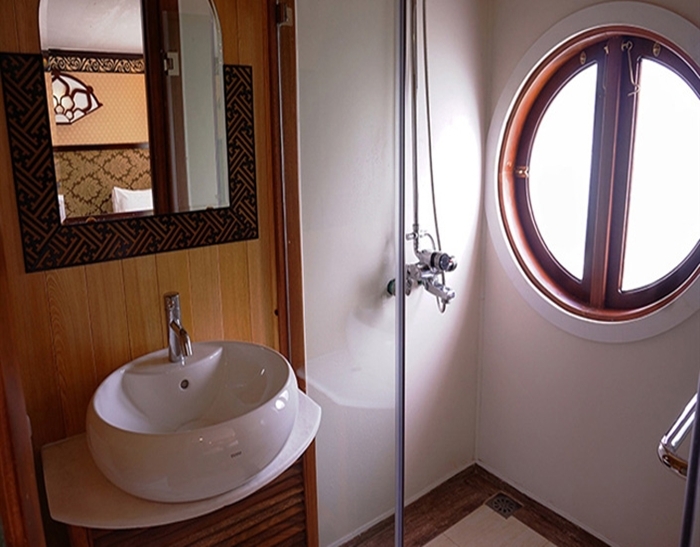 We were taken onto the boat and provided with our cabins which were beautifully laid out. The food on the Calypso Cruiser was as good as we had tasted around the cities, and there was plenty of it. 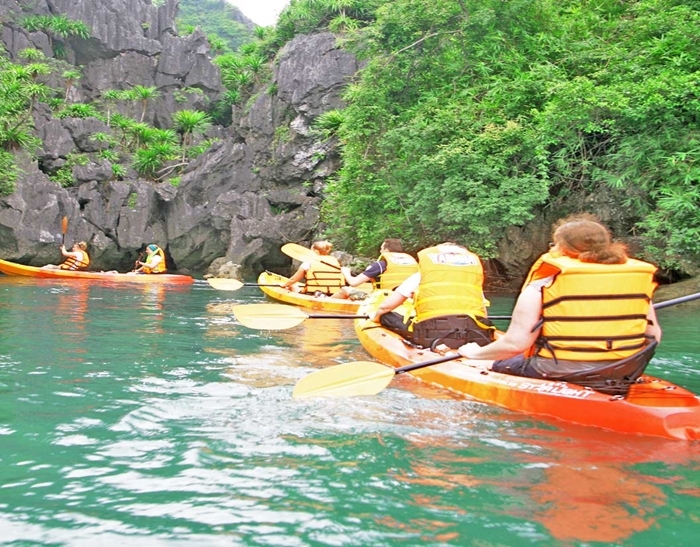 Activities included in the trip were: Sung Sot Caves, Kayaking, Spring Roll Cooking Lesson, and Tai Chi. Squid Fishing and Karaoke were also on offer. They say that the best things in life require a little effort. The journey there and back is the worst part, but it is so worth it. The Cruise around the bay amongst the many islands was beautiful and was one of the highlights of our trip. 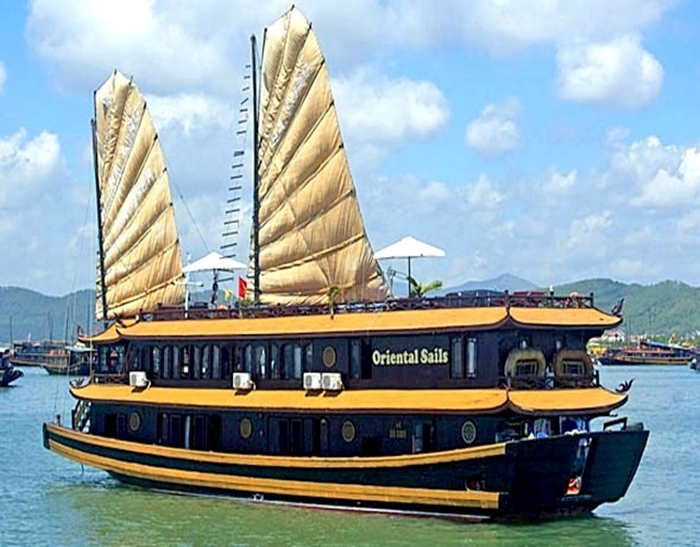 I have no hesitation recommending it and Oriental Sails. 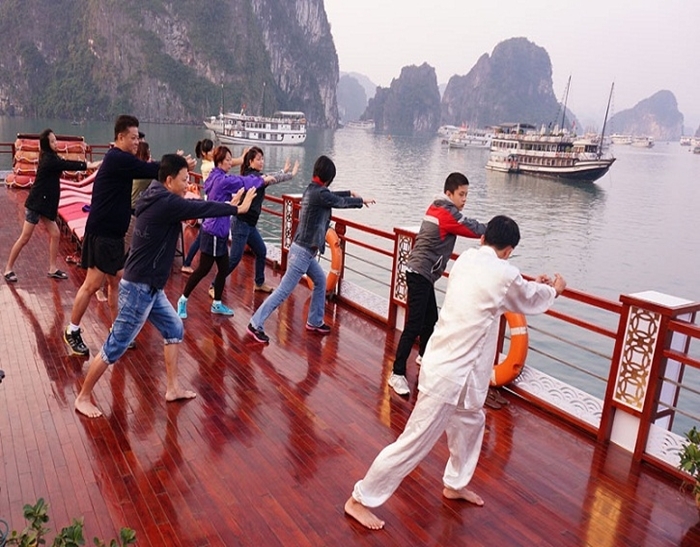 The cruise we booked via Halong Bay Cruises No Limit website was unforgettable and all services werr included:kayak, caves, cooking class, floating village tour, taichi and many things to do during 3 days trip. We would absolutely recommend the trip.